And, from now on, Poznań is known for the most recent public addition to Dérive app’s collection of location specific decks, hot on the heels of our recently introduced Oakland deck. 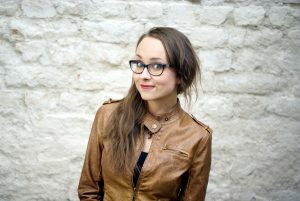 The initiative of creating the deck comes from Karolina, who describes herself as an idealist who wants to combine her interests with her career and is constantly looking for opportunities to gain new experiences and self-development, perhaps working towards becoming a true Renaissance Woman. She’s passionate about coffee, especially alternative brewing methods, pigs and theatre, both on stage and as a spectator. Keen on visiting places she’s never seen before, she always returns to her beloved hometown Poznań. After four years as a student of tourism economy at Poznań University of Economics and Business, she realised that not the hotel industry has her interest, but that urban tourism and off-the-beaten-track travel is what fascinates her. 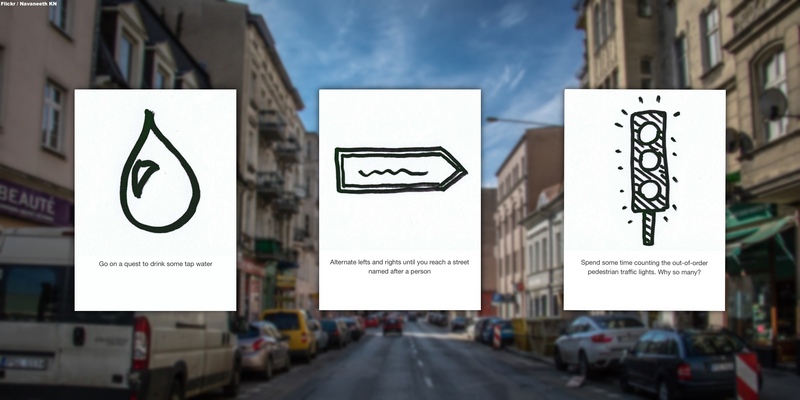 Her bachelor’s dissertation on opportunities for development of new forms of urban tourism in Poznań eventually brought her to the creation of the Poznań deck for Dérive app. With one year left at Poznań university, she’s picked the subject of her master’s thesis as (deep breath) “Creation of niche tourism products on the example of flaneurism: how to popularize and promote non-commercial tourism ideas and transform them into products?” with thesis supervisor Piotr Zmyślony, who introduced her to Dérive app in one of his earlier classes. The images associated with the cards are the work of Karolina’s sister, Ania Szarkowicz. Still in high school, she’s reads loads if not mastering her drawing and painting skills. Or, fiddling with the apple of her eye, Florka, the family cat. The Poznań deck is now available to everyone using Dérive app. 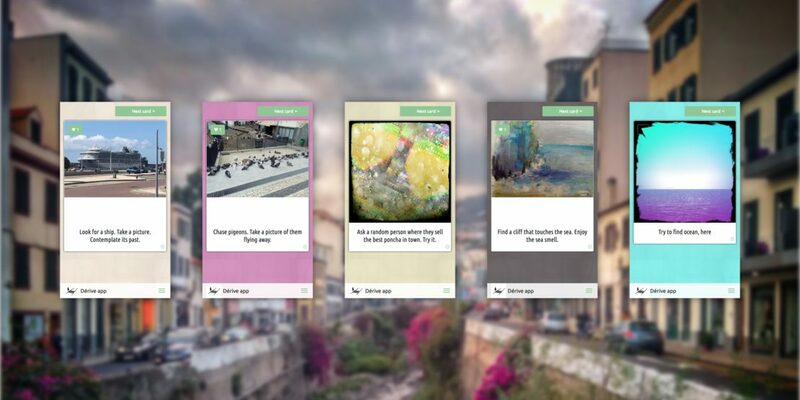 In addition, Karolina and Ania added several task cards to The Playground, the deck of task cards to which all Dérive app users can contribute.